You'll never have to worry about a bad hair day again! These headbands are super cute, easy to make and you'll have a bow to match every outfit. I'm always wearing bows in my hair, but now that my hair is getting long it's always in my face. 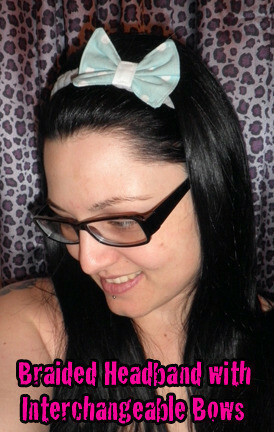 This headband keeps my hair out of my face, and I can make a bow to match every outfit. 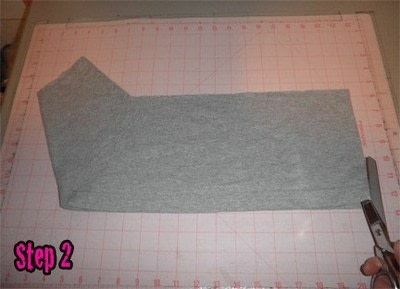 First you will need to cut off the bottom of an old T-shirt. You can use any color shirt or shirts for this part. If you want three different colors in your braided headband, you will use three different colored shirts. 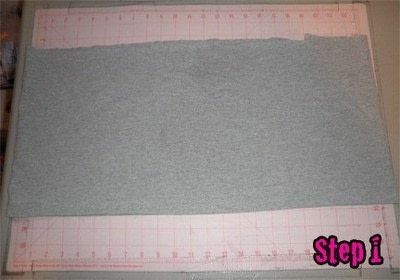 Now you need to cut up one side of your shirt piece or pieces. Fold your shirt piece or pieces in half (so you will have 4 layers of shirt). This makes it quicker to cut. Measure out 3 strips that are 1 1/2 inches tall. Gently pull on your strips until they curl into themselves. Do this all the way down the strip. 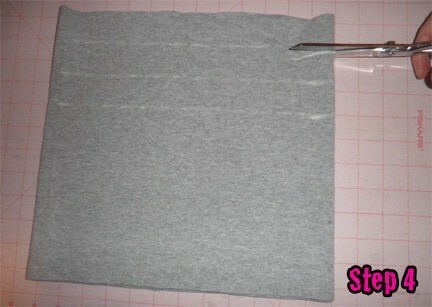 Line up the ends of your strips and measure 10 inches down. Tie a knot to hold all three strips together. 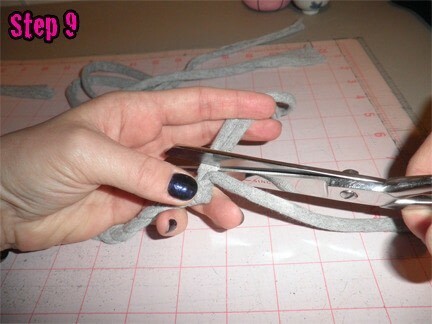 Cut off two of the end strips below the knot. You will now have just one strip below the knot. 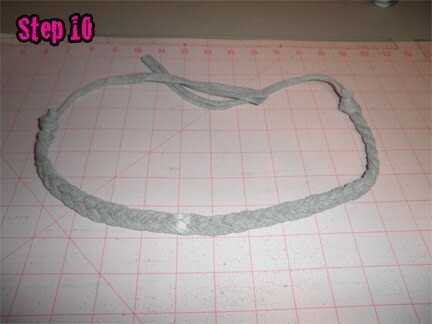 This will be one of the ties for your headband. Now you will need to anchor your strips to something so you can braid them. I pinned mine to Betty (my duct tape mannequin). Braid your strips together. When you have at least 15 inches of braid, tie another knot to secure your braid. 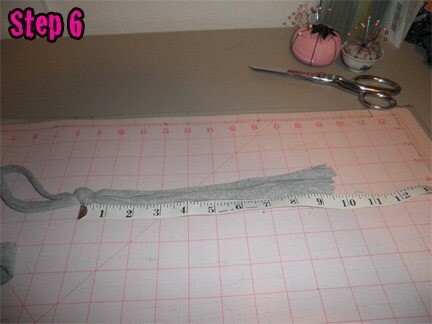 Do as you did in step 7 and cut off two of the strips below the knot. The remaining long strip will be the other tie for your headband. Put your headband on and mark where you'd like your bow to sit. Now cut a piece of velcro that measures 1/4 inch tall. 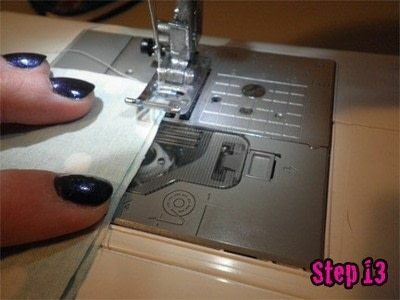 You can also use the round, sew on velcro pieces. I didn't have any so I used regular square velcro. I prefer to attach the rough side of the velcro to the headband. Stitch the velcro to the headband and set the headband aside. Now raid your scrap box. 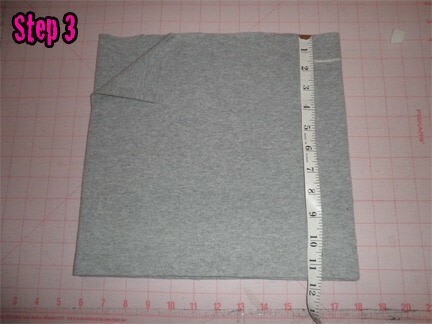 You will need to measure out 2, 3 inch by 3 1/2 inch rectangles. Cut them out. 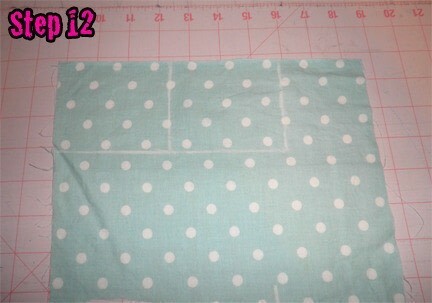 With right sides together, stitch your rectangles together. Make sure you leave a hole in one of the long sides of the rectangle for turning. 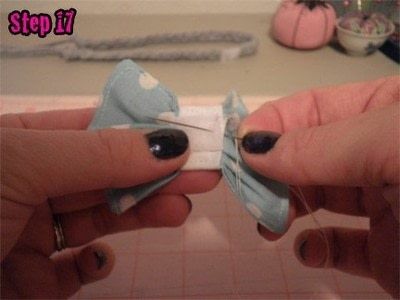 Turn your bow right side out once you have finished sewing. Now that your bow is right side out, stitch around the very edge of the bow. This closes your turning hole and gives your bow a more finished look. 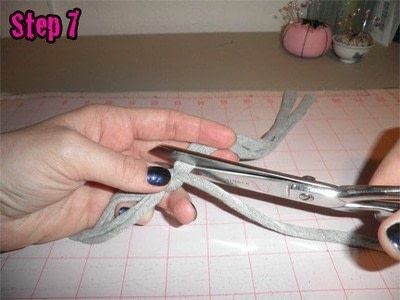 Find the middle of your bow and use a needle and thread to gather it. 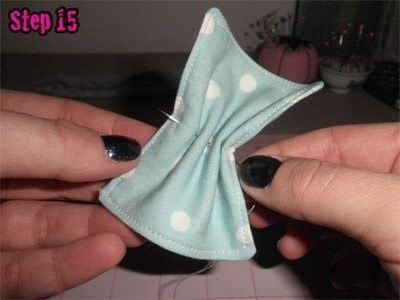 Pass your needle and thread through the middle of the bow a few times to secure your gathering. Wrap a piece of wide, single fold bias tape around the middle of the bow. 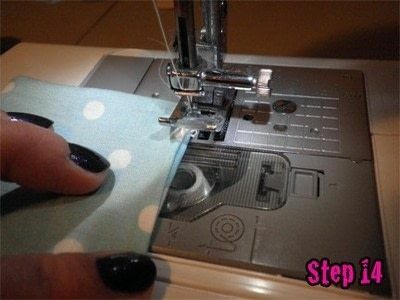 Stitch the bias tape to the bow with your sewing machine. 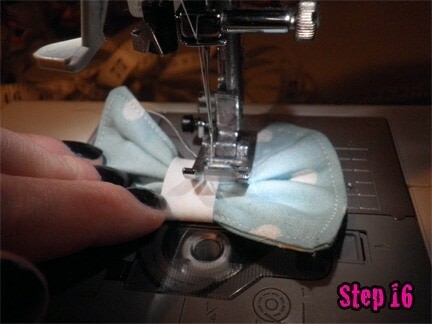 Now stitch the soft side of the velcro to the back side of your bow. When you're finished, attach your super cute bow to your braided headband. Now go make more bows, you know you want to! This is awesome!! GREAT (and economical) idea! Thanks! I'm glad you love them.